Parliament’s chief Brexit Coordinator Guy Verhofstadt (ALDE, BE) told MEPs that limited progress has been made after the first three rounds of Brexit talks, in particular concerning the UK’s financial commitments to the EU, during a debate with the Constitutional Affairs Committee on Monday. He expressed concern over the UK’s attempts to question the “exit bill” and highlighted the importance of living up to previous economic commitments. 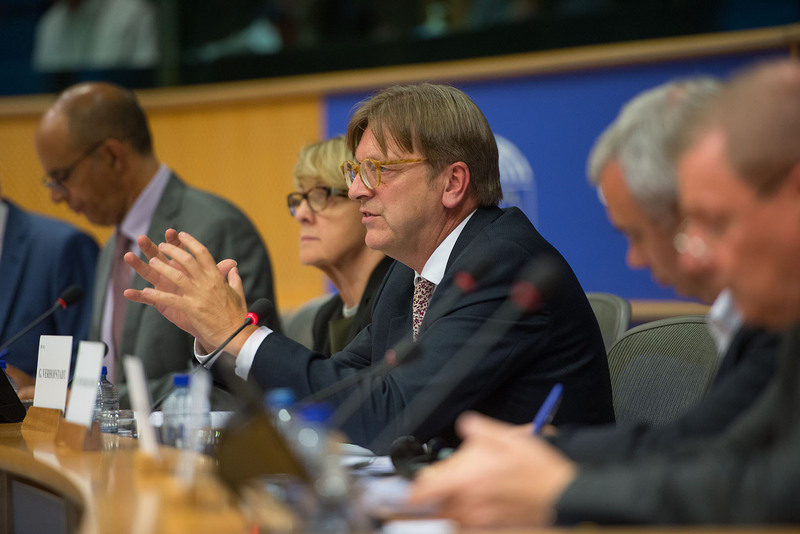 Mr. Verhofstadt also acknowledged some positive developments in the field of safeguarding citizens’ rights, for instance on health care, social security coordination and frontier workers, but stressed that the British government’s offer to provide EU citizens in the country with a “settled status” is not acceptable, since it would cause a tremendous administrative burden for a lot of people. This proposal means, among other things, that all EU nationals lawfully resident in the UK for at least five years will be able to individually apply to stay. Later on in the debate, he called for more clarity on the future of the border between the Republic of Ireland and Northern Ireland, underlining the absolute need to avoid the current open arrangement being restricted. Parliament’s Brexit Steering Group is expected to publish a comparative document containing the EU versus the UK position on citizens’ rights on Tuesday 5 September. Parliament’s Conference of Presidents (EP President and political groups’ leaders) is expected to consider drafting a new resolution to assess the state of play of ongoing talks between EU and UK government officials. This resolution could then be voted by EP Plenary in October in Strasbourg.